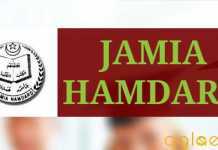 Home Institutes CRSU Jind Result / Merit List 2018 – Released! CRSU Jind Result/Merit List 2018 – Result/Merit list is displayed on the Notice Board of the Department concerned. It shall be the sole responsibility of the candidates to remain in touch with the Department concerned for keeping track of the progress of admissions and should visit the university website www.crsu.ac.in on regular basis. No separate communication in this regard will be sent to the candidates by the University. Get CRSU Jind Result / Merit List 2018 complete information here. Latest: Result of MA Education and other pending cases has been released. Scroll down to check the same. Merit list has been displayed on the University official website. Candidates can check their result through the link which is provided below. 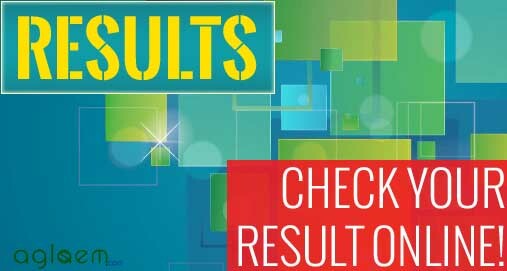 Click here to check the result for MA Education and other pending cases. Click Here to check the CRSU Jind Merit List 2018 of all PG courses. Candidates per tentative merit list shall reach the concerned department of the university for verification of documents along with their original Documents, a copy of all documents (like downloaded application form, a paid copy of e-Challan of application fee, additional documents list is available on website)& Admission fee of the course/programme as mentioned in the Admission Brochure. The tentative Merit list may change after verification of original documents. The admissions shall be made on the basis of merit of qualifying examination plus weightage as per Rules for the respective course. Weightage of extra 5% will be given to candidate having PG Diploma in Yog while seeking admission in MA Yog Science. Total weightage for the purpose of merit under Section-V shall not exceed 10 marks except for and B.P.Ed. courses. Besides the one maximum higher weightage mentioned at Sr.No. (F) (i) to (viii) and weightage at Sr. No. (ix) and only one weightage of the remaining categories under Clause (A) to (E) of Section-V would be added for the purpose of merit for admission to B.P.Ed. course. The position at National Level will only be considered if the candidate has participated in Inter-Collegiate Tournaments/ State Level Tournament in the same game/event during college period. Weightage for the purpose of merit under Clause (E) Section V will be given only if the candidate has obtained required Certificates/Distinction during the course of the qualifying examination on the basis of which he is seeking admission to the course concerned. 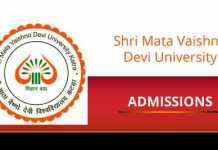 For example, if a candidate is seeking admission to M.A. course on the basis of B.A./B.Sc./B.Com. Examination he/she will be given weightage, under this clause only if he/she has obtained the required Certificate during B.A., B.Sc., or B.Com. course.